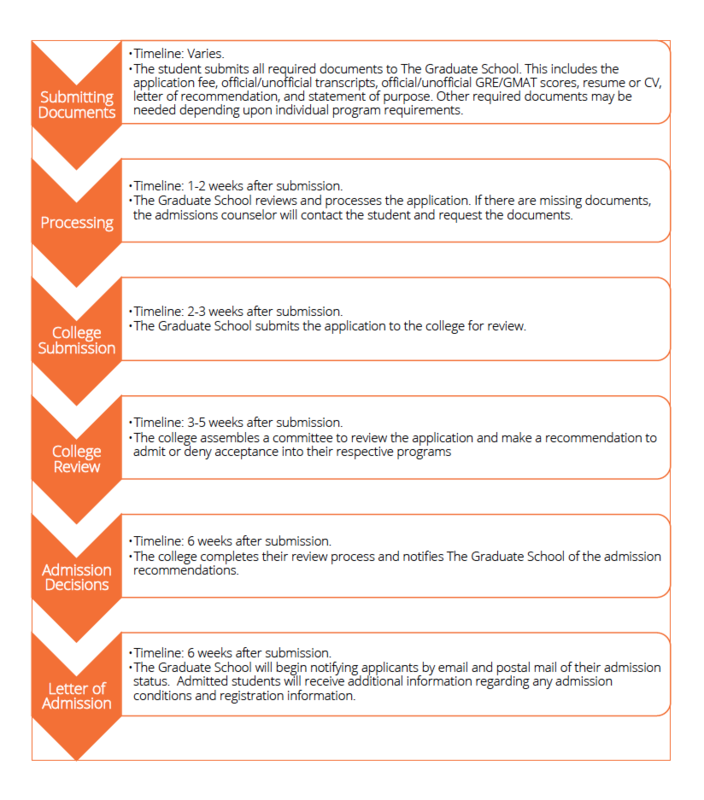 The application process varies by each College. The process below will provide prospective students with an outline to our admission process and estimated time of completion. Typically decisions for programs will be made within 6-8 weeks, however; the timelines will vary and your application review process may fall outside this estimated time.